Helps to support thyroid function giving you more energy, driving your metabolism and assisting with weight loss. Iodine is a powerful nutrient that typically comes from the ocean in seafood and algaes. Most people do not consume enough and iodine is critical for breast and uterine health. Iodine also supports thyroid function, will give you more energy, drives metabolism and helps with weight loss. Iodine 12.5 is a superior formulation with the ideal balance of iodide and iodine making it highly absorbable and to bind with tyrosine to produce thyroid hormones. This formulation was created to enhance thyroid treatment and offer long-term, consistent results. Iodine is crucial to healthy thyroid function. T3 and T4 hormones receive their name from the number of thyroid molecules in its chemical structure. Insufficient dietary iodine is one of the first contributors of underactive thyroid and one of the first markers we look at when diagnosing thyroid disorders. 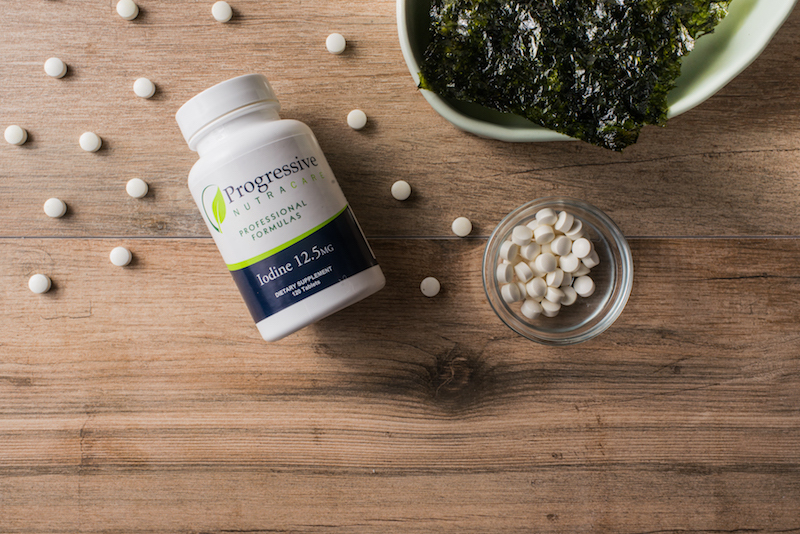 Our Iodine is derived from Icelandic Kelp. Iodine 12.5 is a nutritional supplement intended to provide nutritional support for an underactive thyroid and healthy breast and uterine tissue. Iodine 12.5 is for individuals looking to increase energy levels, assists with mental clarity and sharpness, and assistance with healthy weight management. Iodine 12.5 is also for someone that needs to increase thyroid function and/or may need to support breast or uterine health. Iodine 12.5 is intended to take 1 capsule daily or as directed by your healthcare practitioner.